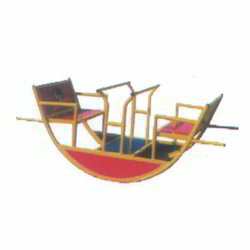 Our range of products include boat shape see saw, kids sea saw, see saw single board, single board see saw and spring seesaw. 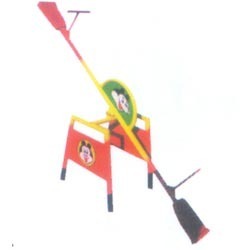 We are among the illustrious names in the industry, engaged in offering Kids See Saw to our priceless customers. 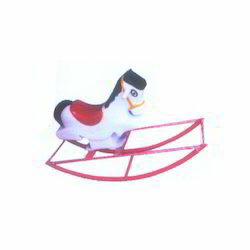 The offered see saws are characterized by a distinctive design and offer a delightful playing experience. High grade materials and sophisticated technology are used for manufacturing these see saws. To retain our goodwill in clients' view, we manufacture, wholesale and supply a wide range of See Saw Single Board. This ride is precisely manufactured by our adept and seasoned electricians employing contemporary tools and advanced equipment as per the set industrial norms. Also, we deliver the entire range from our end after checking properly on several aspects of quality. Moreover, clients avail the offered range in a variety of customized options at reasonable prices. With thorough understanding of the concerned industry, we are offering an exclusive range of Single Board See Saw. 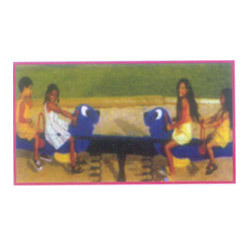 In tune with clients' diverse requirements, this ride is manufactured available in wide range of customized options. Our offered product has gained exceptional value amongst our clients for its operational fluency, corrosion resistance, east installation user-friendly interface and shock resistance. 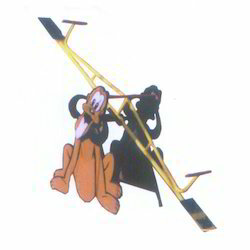 Leveraging our rich industry expertise, we have come up with Spring Seesaw for our priceless customers. The offered see saws are manufactured using the prevailing safety standards and are extremely alluring in their appearance. These see saws are sturdy and can be installed with ease. Customers are reasonably charged for these see saws. Looking for Kids See Saw ?